Simon Holloway has sent several photos from the lives of Wilfred and Evelyn Chapple of Walnut Tree Road, Brentford. 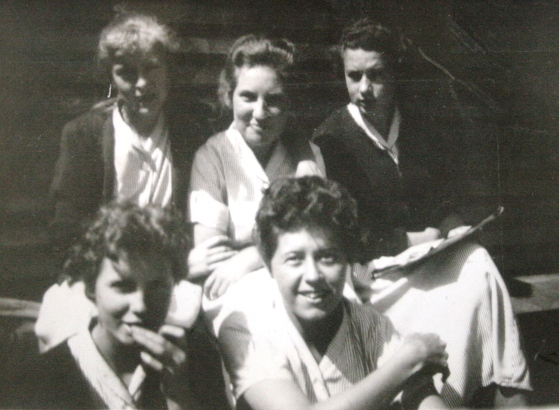 This shows Eileen Chapple and schoolfriends in the summer of 1957 when they were at the Chiswick County School for Girls, which opened in 1916 in Burlington Lane. Simons adds 'I have several more similar group shots': so please get in touch if of interest. If you can help fill in the missing name the please get in touch.